Have you always wanted to ride a horse, or are you returning to your passion? This is where you can find a place to ride, a certified coach and exclusive programs that can help get you in the saddle and stay engaged. Search the directory to find a facility partner near you. 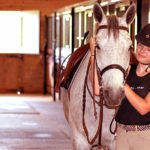 All facilities listed in this directory are Ontario Equestrian Horse Facility Partners. 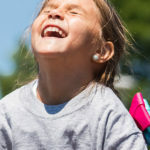 This is also where you can find accredited facilities that specialize in programs for riders with disabilities, certified by the Canadian Therapeutic Riding Association. We believe that all riders should be supported by a certified coach or instructor. In Ontario, there are over 1,700 equestrian coaches enrolled in the National Coach Certification Program (NCCP.) Start your equestrian journey today by choosing one of our certified coaches or instructors. At Ontario Equestrian, we offer a number of fun and interesting programs to support riders of all ages in their introduction to the sport. 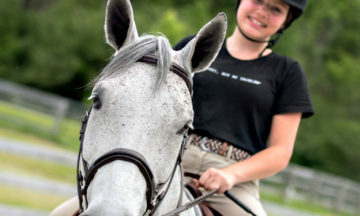 We have programs connecting new riders to accredited facilities to learn the basics of horsemanship and riding. Do you dream of learning to ride but don’t know how to get started? Here is your Ticket to Ride. 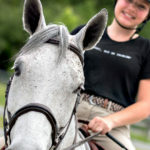 This program offers new riders a FREE introductory riding lesson or introduction to horses at participating Ontario Equestrian Horse Facility Partner riding schools. For our members who may have missed the introduction of our new RideON program, here’s a quick guide to participation. 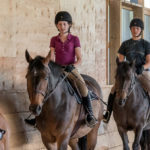 Rookie Riders is a foundational program designed to introduce children to equestrian sport by teaching them the fundamental movement skills associated with riding. The program focuses on a blend of riding, vaulting and gymnastic skills. The young rider begins with exercises on the ground, then on a barrel horse and graduates to their first riding lesson on a school horse. Long-Term Equestrian Development is a framework for the development of programs in every stage of coach and athlete development. These programs are athlete-centered, coach-driven and supported by an integrated sport system. 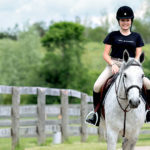 Over 50% of Ontario Equestrian Members enjoy trail riding regularly. Some ride in their communities where they know the trails well, and others love to travel and experience trails that range from wild and challenging trails to new-rider friendly wide flat trails. Learn to Ride programs are available in English and Western Disciplines. The program provides an opportunity for riders to progress, demonstrating their skills through a series of increasingly complex written tests, interviews and under-saddle jump and flat tests.